Watch this video of a football coaching practice to understand how to structure and progress a rotating crossing and finishing game, which will really improve your players crossing and finishing skills. Statistically, a single cross has on average a greater goal threat than does a single final third pass. 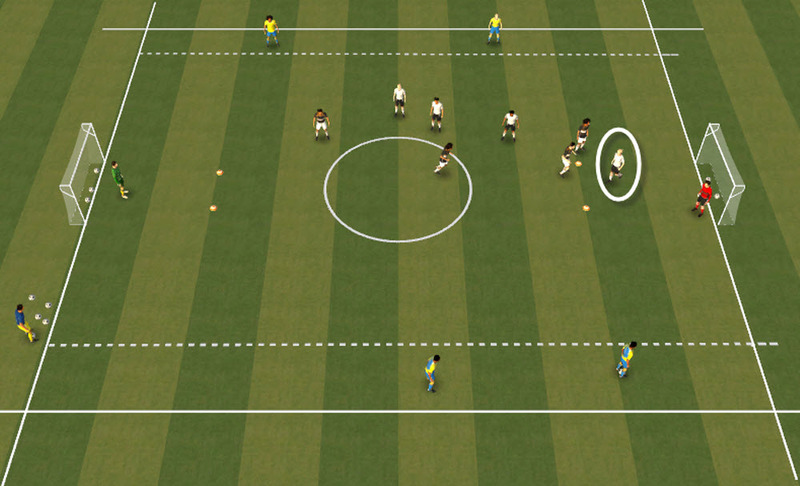 Crosses are a high risk, high reward skill compared to a ground based passing strategy that is low risk, but also low reward for each individual pass. At lower levels of football, teams often struggle to keep possession and pull opposition defenses around to create attacking situations. Therefore, as a major part of any attacking policy, when the ball goes wide it is important that crosses are delivered into the area. 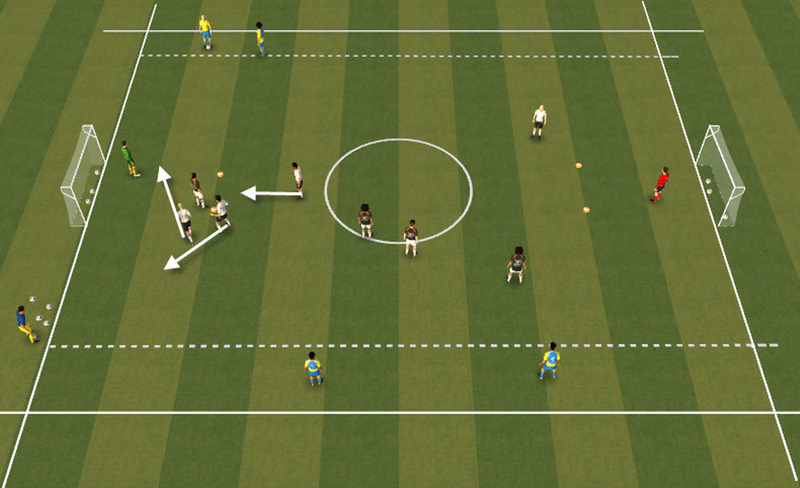 This must also be accompanied by forwards making timed, positive runs to attack the cross. 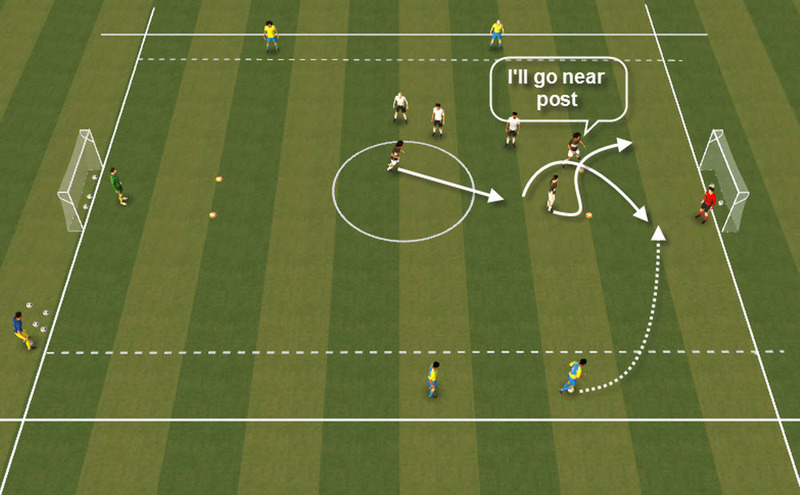 The near post run is the main run, as this causes the goalkeeper and defenders to react and creates chaos. Even the best defences struggle to cope with well delivered crosses from good areas and forwards making timed, positive runs to attack the cross. 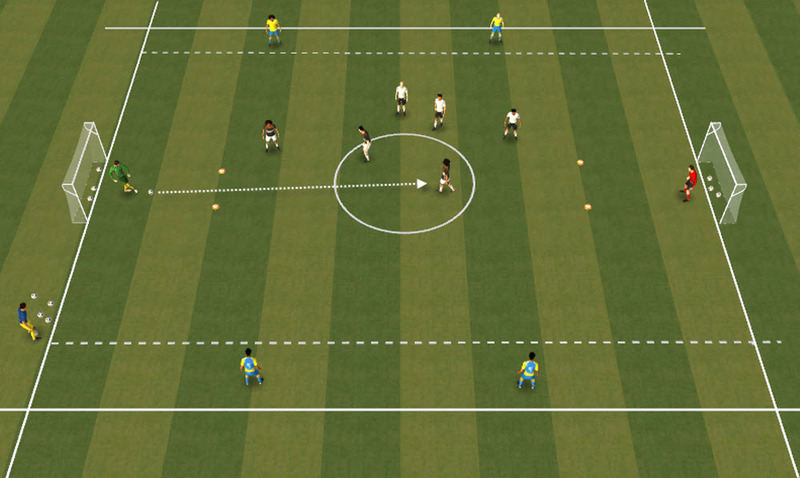 This football coaching practice is designed to improve game related crossing and finishing skills. The video, which features a cut down version of the video session that is available for members of www.grassrootscoaching.com also highlights actual game examples of how crossing and finishing result in goals! 2 age relevant goals with GK’s 40 – 60 yards apart. When the ball has gone wide, the strikers communicate and using the discs as reference points , make runs off the discs, one goes near post, the other goes far post and the midfield player backs up the play. They attack the ball and try and score. 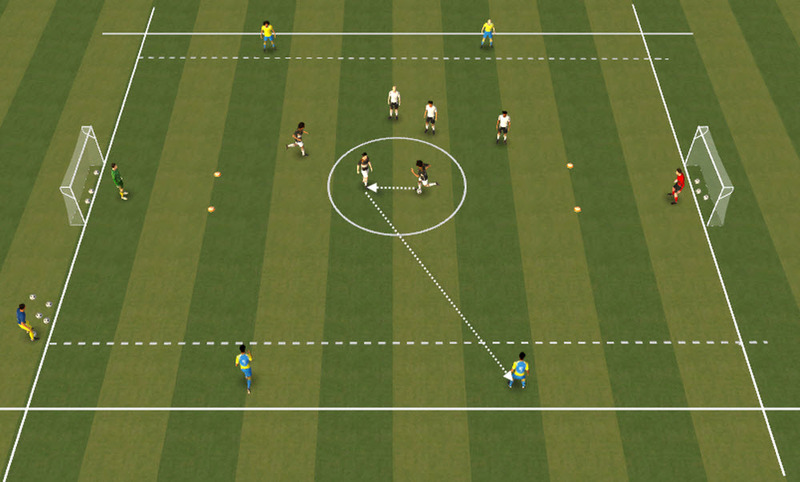 Wide players to get their heads up prior to crossing and look to hit one definite space – near post with whip and pace. If a defender is defending, cross where they aren’t defending! 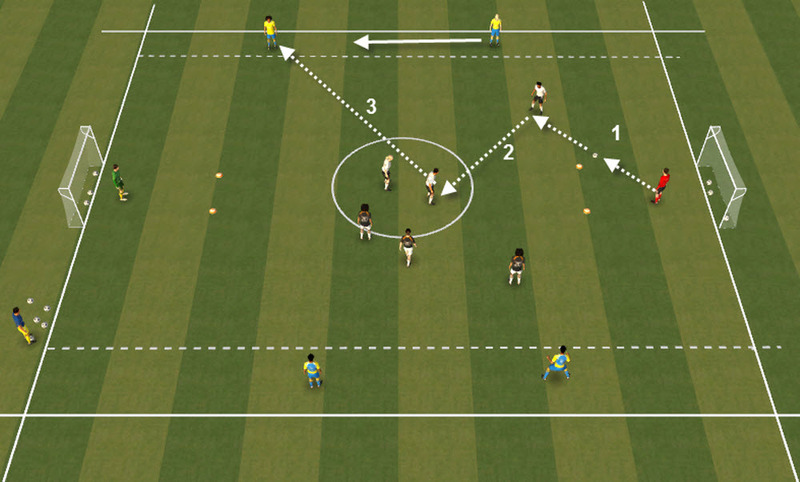 Strikers to communicate and use the discs as markers to time and angle and time their runs for the cross. One striker must go near post, using the far post disc as their marker.